These are Fingerless Mitts / Gloves (Sealed) with labels . Ideal for Regular Forces, TA, Cadets, Hiking and most outdoors activity etc. One size fits all. A very warm bit of kit. Made from Acrylic. . This is Olive Green British Army Solider 95 Working Belt It comes complete with 2 belt slides and male and female buckles. It is made from heavy duty nlyon webbing and is tough and durable If you have any questions please do not hesitate to contact us. You are Purchasing a Olive Green Scrim Scarf. It is made by Web Tex. The size of the Scarf is 100cm x 100cm. 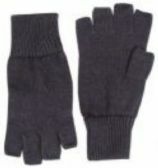 Wooly Gloves Ideal for Regular Forces, TA, Cadets, Hiking and most outdoors activity etc. One size fits all. A very warm bit of kit. Made from Acrylic. .